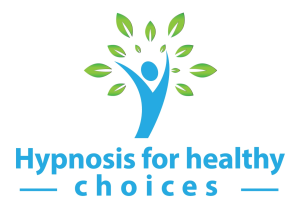 This web site is owned and operated by Intuition UN Ltd and is dedicated to helping you make healthier choices, learn effective strategies for managing stress and learn new patterns and behaviours. If you have any suggestions or comments please email us using the link on the store page. When confirmation of your order is received, this is to indicate that we have received your order. It does not indicate that a contract exists between us. We will indicate acceptance of your order, and hence a contract between us, when we send you an invoice. We have included this term to protect us in the case that a mistake has been made in pricing, we have inadvertently under-priced goods, or we are no longer able to supply a particular product for some reason. In the case of a change of price, we will always contact you first to ensure that the price is acceptable.>!! There are no shipping charges for downloads. The receipt page has download links on so you can download immediately after ordering. Please do not try to download to phones or tablets directly, go via a pc or mac, then import to your media library and then sync with your device. You will get a SagePay confirmation of payment email and we will also send you an email to confirm your order and one for the links you have ordered. You will be able to download these for 48 hours from your order, after that they expire. For orders made from the UK or the European Union, the standard 20% VAT is added. All other orders outside the EU are VAT free. For orders made from the UK, the standard 20% VAT is added. For orders from the European Union, the VAT/TVA % for that country is added, based on where the 'delivery' is made, ie. where you are based. All orders outside the EU are VAT free. Your rights to return phyiscal goods are protected under the EU Distance Selling Directive. Electronic downloaded products will not be refunded.